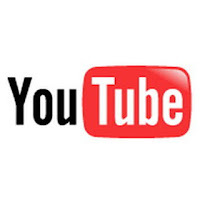 Hard to believe that only 5 years ago there was no YouTube! What did people do to procrastinate or spread the word about something? How did you watch something funny that happened on TV the night before? YouTube sure has changed the way we interact with each other and the way we use the internet. In celebration YouTube have set up this cool 5 year part of their site. It has people telling their YouTube stories, like the beat boxing flute player whose video I posted on this blog a few years back. As well as a timeline where you can watch all the key YouTube videos of the past, including the first ever video uploaded!